March and The Apprentice at Debony Salon! The headline of the news here at Debony Salon is a grand welcome to the newest licensed cosmetologist, Sarah Jette. Sarah completed the Apprentice program in record time, and we are so proud of her! Come to the salon this month and help us celebrate Sarah as she launches her career in the wonderful world of hairdressing! Sarah will be offering a full menu of services at our special Junior pricing. It’s a great way to capture some savings and allow more flexibility when scheduling. Sarah will be working directly with me to create more opportunities for people to get in with a schedule change or last minute appointment. 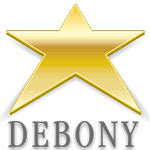 Want a “Debony” Color, but just want a trim? Seeing Sarah for the balance of the service will open up a host of options in the schedule. Look for these scheduling options starting this month! Does this strike a chord of concern, wondering if the person working on you at Debony Salon is qualified to perform a service?! Put your worries aside! These stylists are well trained and practiced in what they do. Keep in mind, many of them end up having more experience behind the chair then some licensed hairdressers! This is because apprentices are required to perfect their craft in double the amount of hours that a standard cosmetology program requires from the state, not to mention, the measured requirements that we require they meet in house. As many of you know, our salon is, and always has been, a “teaching” salon. The State of New Hampshire has fabulous legislation that allows licensed cosmetologist to become an “apprentice instructor”. Upon meeting certain criteria, we are able to teach these apprentices the trade. Learning the trade in the environment in which they will work allows them a spring board for success upon completion. This program has benefits that reach beyond the obvious, however. In a business demographic that is challenged to find employees, it allows us to produce our own well trained employees. It creates jobs that are sustainable in the trades and our community. In the same demographic, it allows us to offer a broad range of pricing options accommodating across a multitude of markets. We consider ourselves a community salon bringing together all generations and people. These types of programs nourish that. If you or someone you know is interested in an apprenticeship, or working at Debony Salon, share this letter with them, have them contact us! We are always looking to grow our team, and we welcome the new energy that these apprentices bring to everything we do!